Bulk classified and unclassified materials to get rid of? Consider going dual stream. At SEM, we often hear from folks starting from scratch to plan central destruction programs. One question that comes up is whether to treat all the material the same – one collection program, one destruction device, what is sometimes called single stream destruction. Single stream destruction requires equipment that can meet the security rules for the most sensitive items. 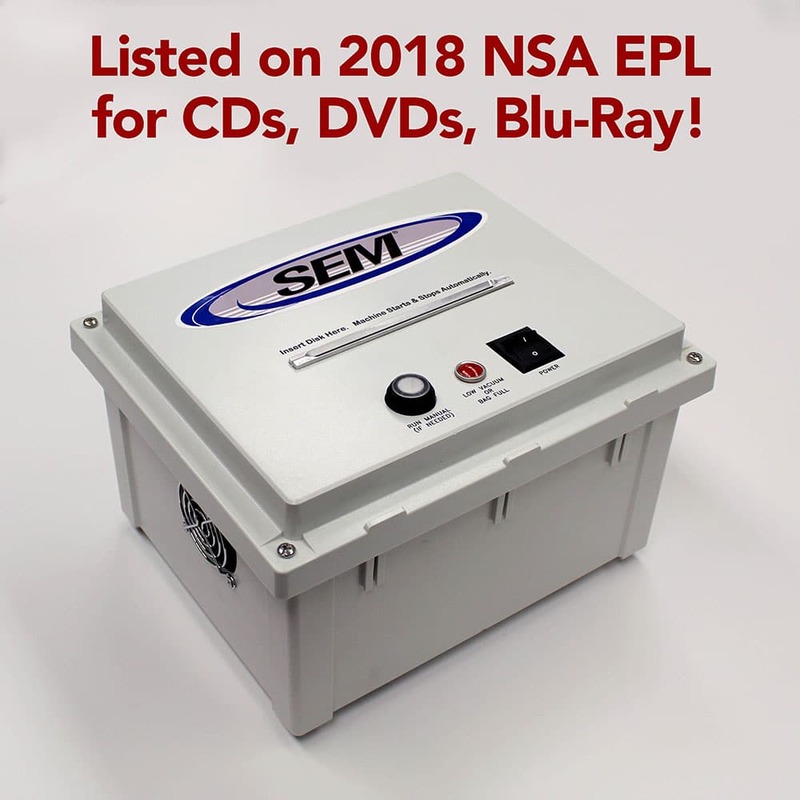 With classified documents in the mix, an NSA listed destruction device is required. Nowadays only one type of machine is practical for bulk classified destruction, namely a knife mill disintegrator. A disintegrator to destroy everything is a frequent choice. However, there are some things to consider before choosing single stream. In the 150 to 500 pounds per hour destruction rate range, a mid-sized disintegrator can do the job in a fairly small space (say a 12’ x 14’ room). For throughput beyond that, especially 1,000 pounds per hour and up, disintegrators become more substantial systems, with conveyor feed, output to dumpsters or briquettors, and central control systems. These machines involve more logistics, supervision, and investment. So, what’s an alternative to single stream? The answer is dual stream destruction, where classified and unclassified materials are handled separately. By splitting them up, the destruction equipment can be smaller, lower cost, and easier to manage. The reason is that it is difficult to destroy material to the very small NSA mandated particle size. For unclassified materials, the gold standard destruction process is a crosscut paper shredder. These cut small, but not nearly as small as required for classified documents. A common particle size choice is 5/32” x 1 5/32” (about 4 mm x 40 mm metric), often referred to by the European designations “Level 3 or Level P-4”. 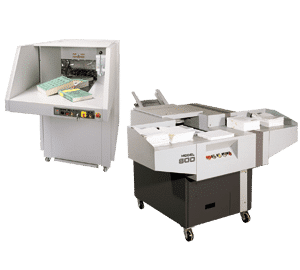 Machines that cut in this size range with high throughput are often referred to as Industrial Shredders. These machines can handle from 150 to 2,000 pounds per hour, depending on the model. 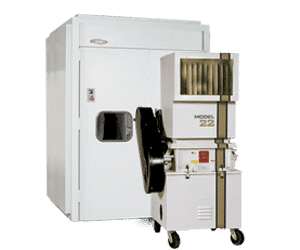 Compared to a disintegrator, an industrial shredder fits in a smaller space, makes less noise, requires less service, is more user friendly, and costs less money to purchase and maintain – often much less than ½ the price for the initial investment. Which method is the right choice? It depends on the situation – the volume and mix of materials, the ability to police the separation of classified and CUI, budget, and more. This decision warrants a careful examination of the options.